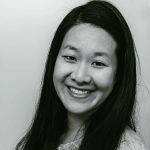 Published Mar 4, 2018 By Julia 1 CommentThis post may contain affiliate links. Growing up in California (which produces nearly all artichokes in the U.S.), I’ve eaten my fair share of them along with artichoke dipping sauces. 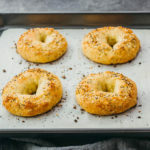 I’ve experimented with various dips that use butter, mayonnaise, or Greek yogurt as the base. 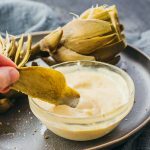 My favorite dipping sauces are aiolis, which use a combination of mayo and garlic; they have the ideal texture and consistency for dipping with artichoke leaves. My favorite flavor combinations are balsamic thyme and spicy garlic mustard. Both provide a potent burst of flavor with every taste. Moreover, these aioli sauces only take a few minutes to whip up using a handful of common pantry ingredients. 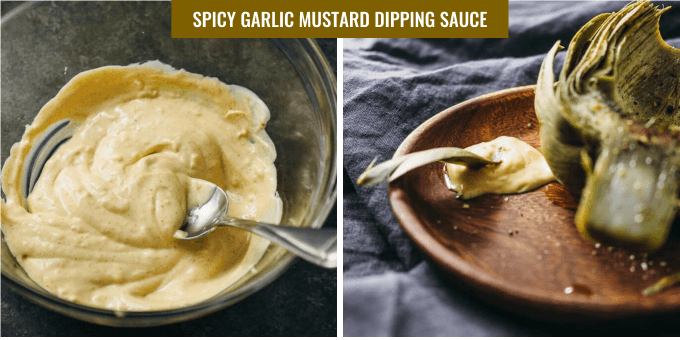 These dips are also healthy and low in carbs, especially the spicy garlic mustard with only 0.5g net carbs per serving. See the recipe cards below for full nutrition facts. This dipping sauce is made with mayonnaise, balsamic vinegar, minced garlic, and dried thyme. It has a light tan color with a nice balsamic flavor that pairs very well with artichokes. It’s absolutely delicious and I use this dip in my recipe on how to cook artichokes via boiling. Calling all mustard lovers — this mayo-based dip has a strong mustard flavor thanks to the Dijon. It’s also slightly spicy from the cayenne powder, along with minced garlic. I love strongly flavored dips like this and I use it in my recipe for making artichokes in the Instant Pot pressure cooker. 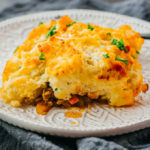 For a smooth dip, use a garlic press or mincing tool. My favorite is the self-cleaning Dreamfarm garject. You can make the dipping sauce ahead of time. 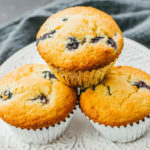 To store, cover and refrigerate until ready to use. I’ve tested these dipping sauces with artichokes cooked in a variety of ways — my favorite is to boil artichokes or pressure cook artichokes. For extra flavor, I generously season cooked artichokes with olive oil, salt, and pepper prior to dipping. If you’re unsure how to dip an artichoke leaf and which parts are edible, check out this tutorial on how to eat artichokes. Two easy recipes for artichoke dipping sauce that are healthy and low in carbs. Pick one of the sauces and combine all of its ingredients in a mixing bowl, stirring until smooth. Cover and refrigerate until ready to serve with artichokes. These recipes make enough sauce for two artichokes, with two servings total - one serving per artichoke. 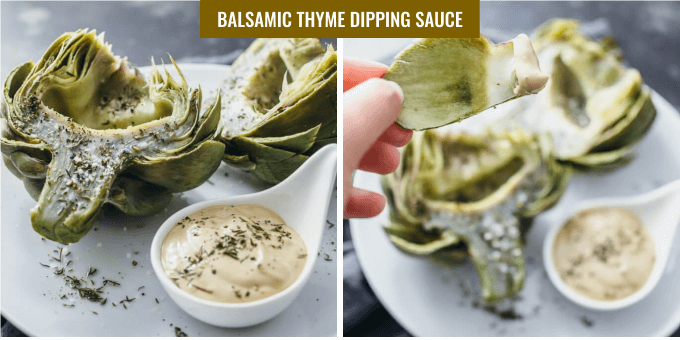 The balsamic thyme sauce yields 1.5 g net carbs per serving, and the spicy garlic mustard sauce yields 0.5 g net carbs per serving.